Steubenville and Indiana Rail Road Comp. 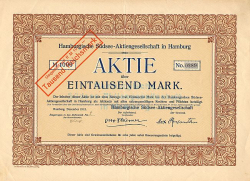 Old stock certificates, US stocks from Railroads from the USA . Main page » United States » Railroads » Steubenville and Indiana Rail Road Comp. Steubenville and Indiana Rail Road Comp.